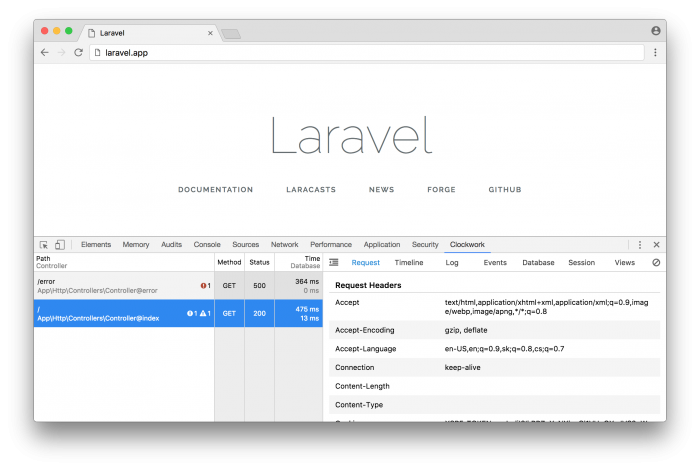 Clockwork is Laravel package, made by itsgoingd, that can collect a lot of helpful info such as queries executed, views loaded, route used, ... Unlike the popular laravel-debugbar package, Clockwork will not inject extra stuff into the html itself. All collected info is displayed in the developer tools of your browser (you'll need to install an extension first).